 Erika Record Baking Equipment is proud to be an authorized distributor of STM water meters and water dosing solutions. 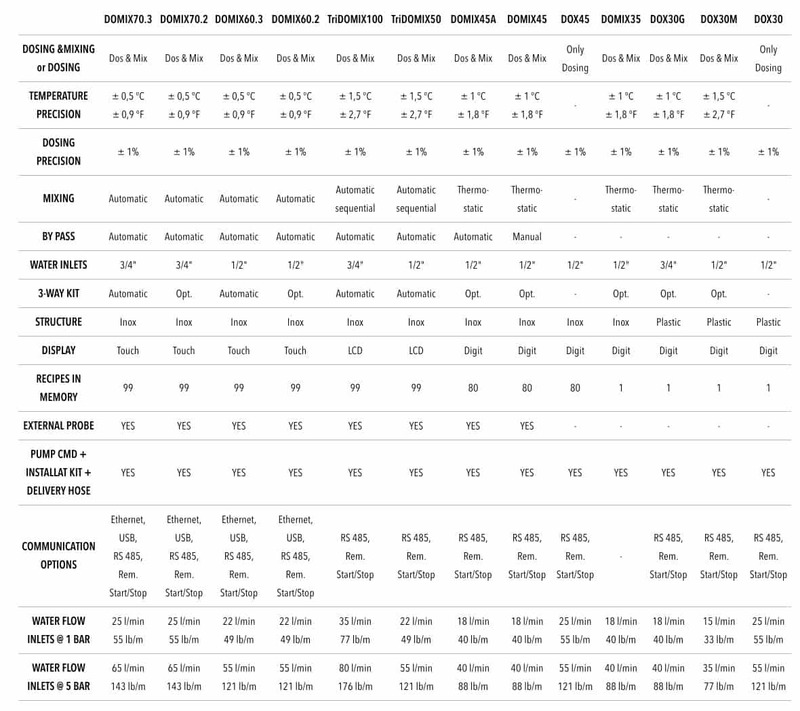 This includes the popular DOX and DOMIX lineups. 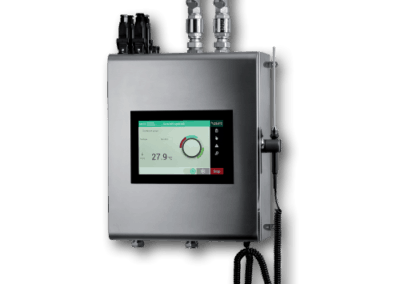 The DOX range is ideal for bakeries looking to accurately dose water on the production floor, while the DOMIX allows you to control both water metering and temperature. 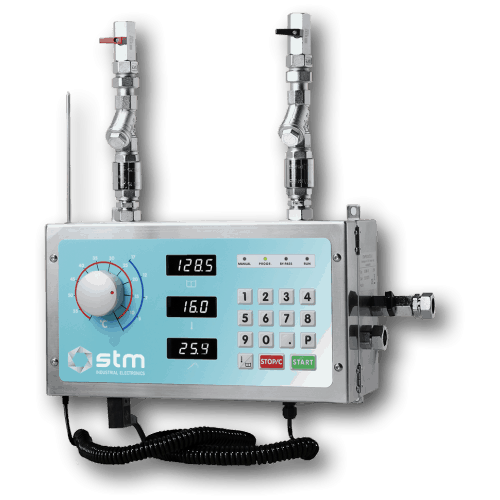 To learn more about available water metering options from STM (including specific models offered) please view our general catalog. 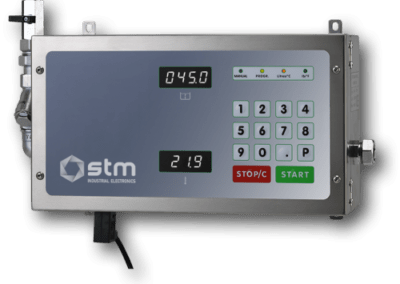 Electronic water doser, without the mixing function, with a plastic box. 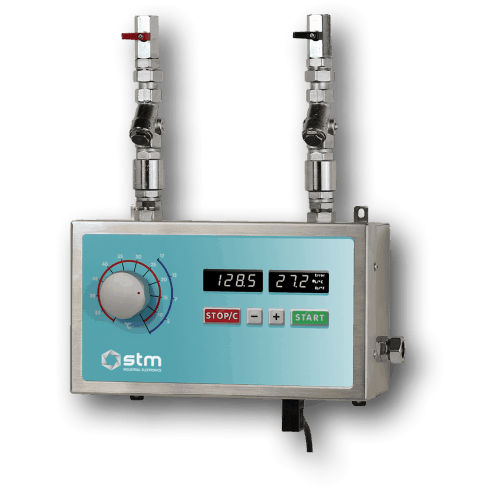 The water temperature can be only read by an internal high precision temperature probe. 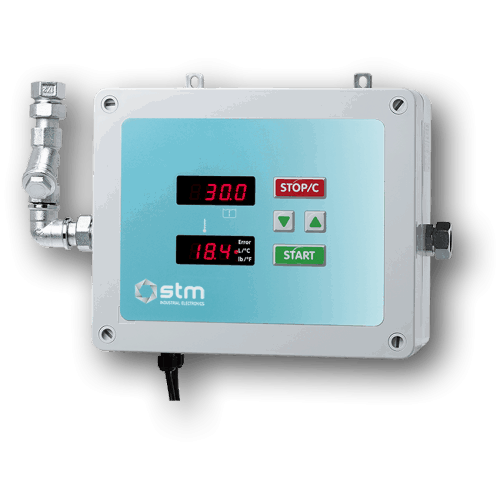 Electronic water doser with external mixing unit and a plastic structure. 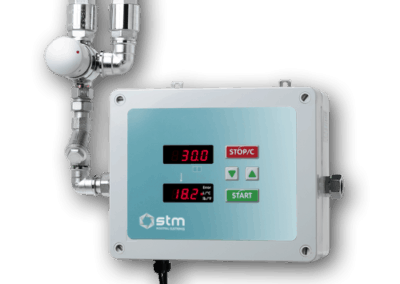 The max tolerance is ± 1,5°C on the temperature and ± 1% on the quantity. 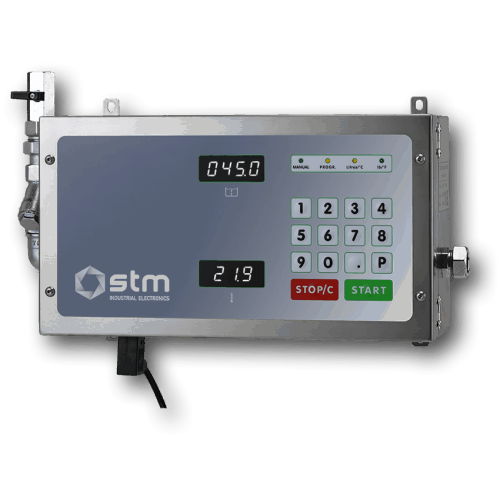 Electronic water doser with performant external mixing unit and a plastic structure. 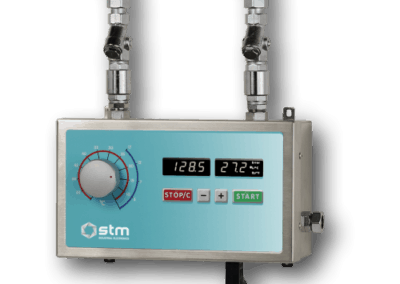 The max tolerance is ± 1,0°C on the temperature and ± 1% on the quantity. 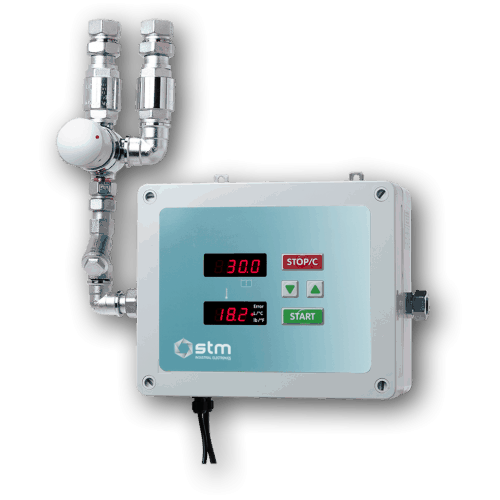 Electronic water meter and mixer that adjusts water temperature via an ergonomic knob that controls a thermostatic mixing valve. 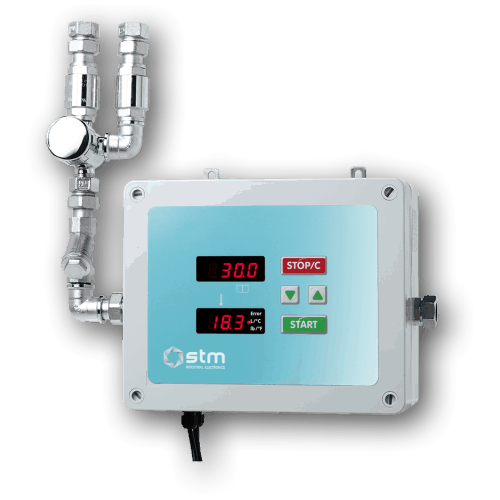 Electronic water meter, without the mixing function, with stainless enclosure. 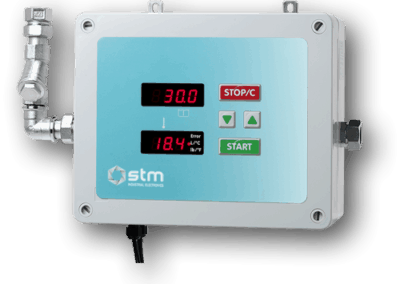 The water temperature can be only read by an internal high precision temperature probe. 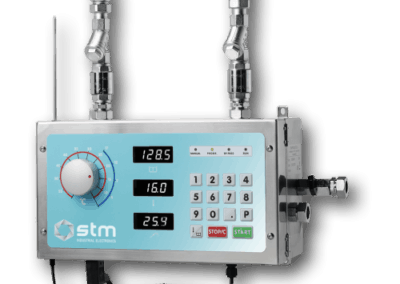 An electronic water mixer and doser that can automatically adjust to parameters such as time and temperature. 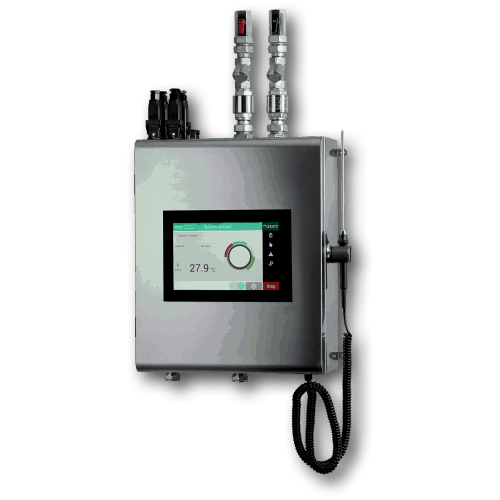 The DOMIX 60 and 70 series features the latest technological advancements and is well suited for industrial production environments with high level of automation automation and strict water parameters. 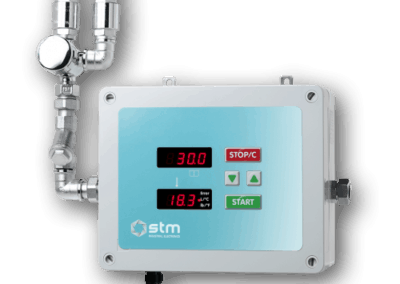 An industry leading lineup of water dosing/metering and mixing solutions to achieve accurate quanities and tempertures.